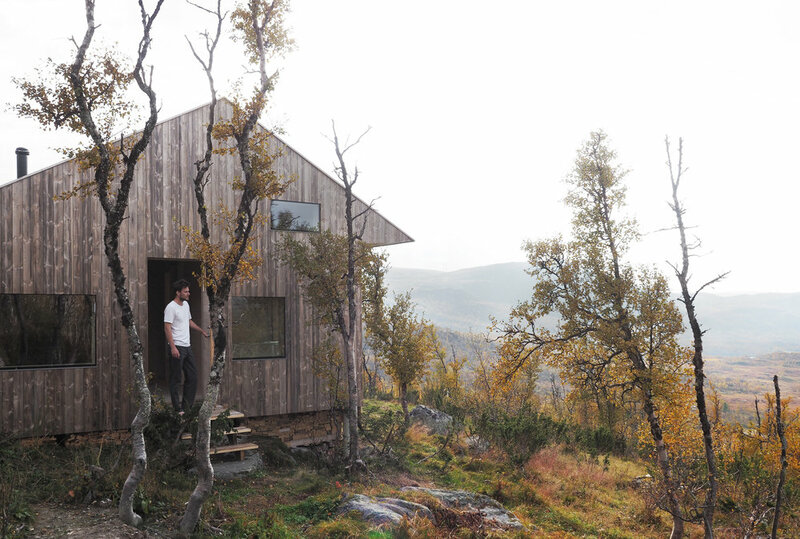 This spectacular Norwegian cabin is certainly as remote as it is beautiful. Situated 1066 meters above sea level, mid-way between Oslo and Bergen, at the foot of the mighty Hardangervidda – one of the greatest mountain plateaus in Europe. With no road connection, materials for the build were flown in by helicopter. 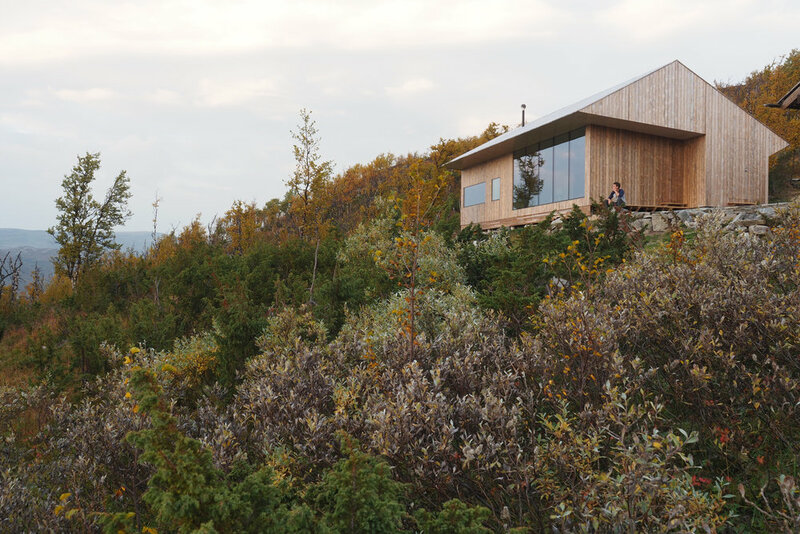 The groundworks were done manually to preserve the slow-growing vegetation that thrives at these altitudes in Norway. Due to the remote location, the outside of the building had to be finished during the short summer months. The rest was completed mid-winter, when materials for the interior could be transported in by snow scooter. 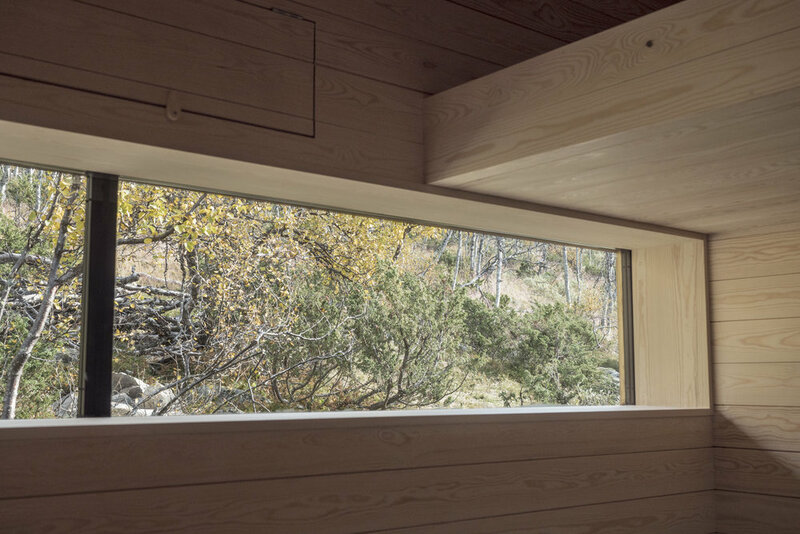 The cabin is clad in pine, inside and out. 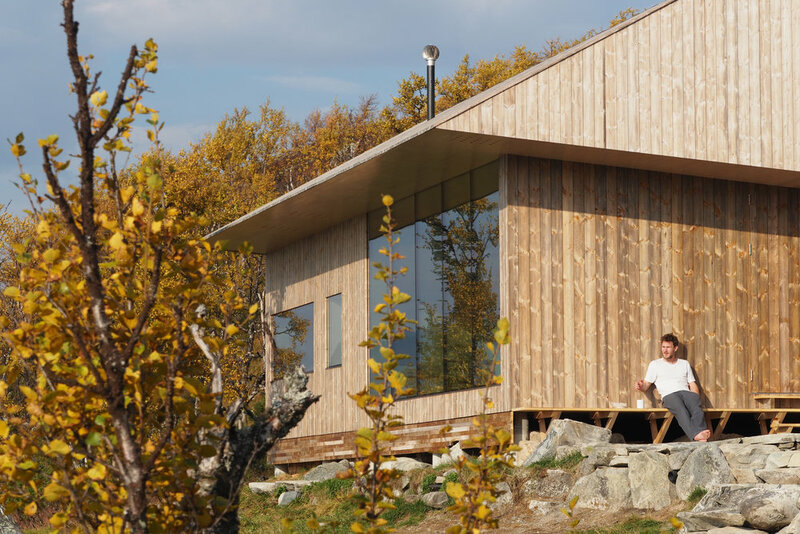 Triple-glazed, insulating and solar protected glass panels take in the view of the Ustevann (lake), Hallingskarvet (mountain formation) and Hardangerjøkulen (glacier), all in the same panorama. 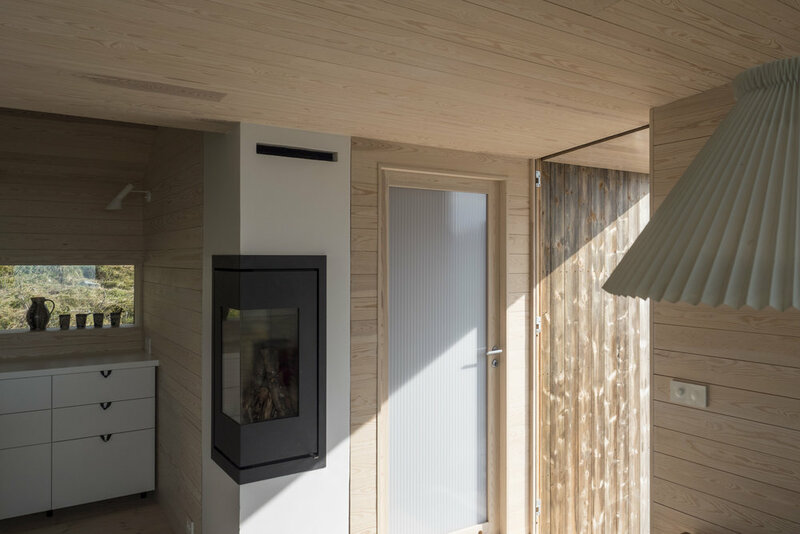 A previously existing cabin on the site now functions as an annex, and together with the new cabin creates a sheltered outside space. 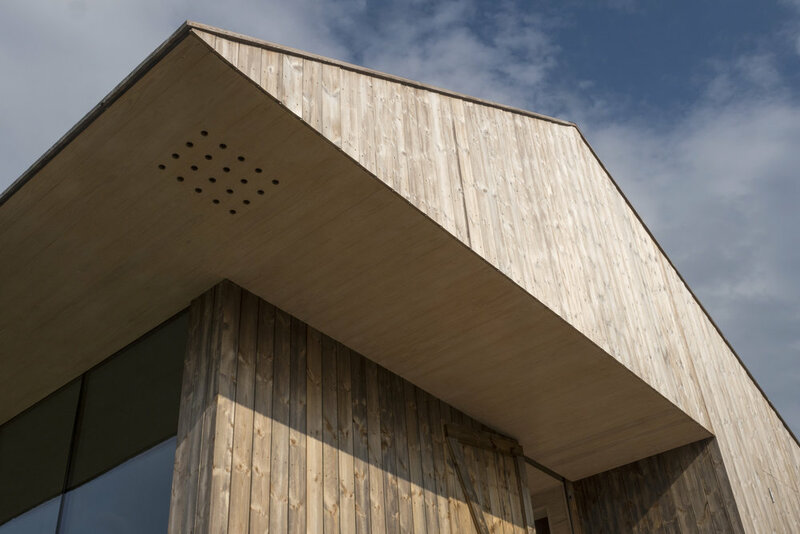 The main entrance is placed toward the prevailing wind-direction, to keep it clear of snow which would otherwise accumulate on the opposite side of the building, so the windows here are placed rather high up. The eaves are generous to keep frost, falling from the sky at night, away from the windows - which can be a problem with insulating glass at certain temperatures. As no windows open, the eaves also conceal openings for ventilation. 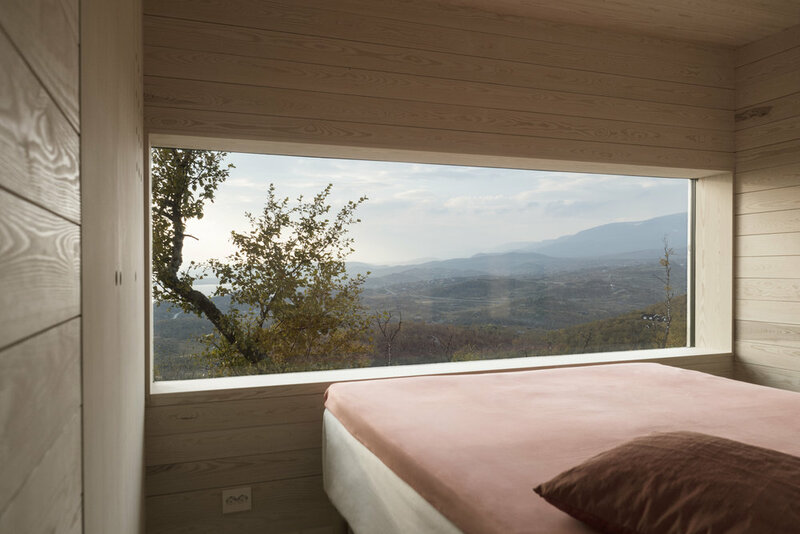 With this view in mind; the idea for the main room was to create the experience of being outside – exposed to the shifting scenery. 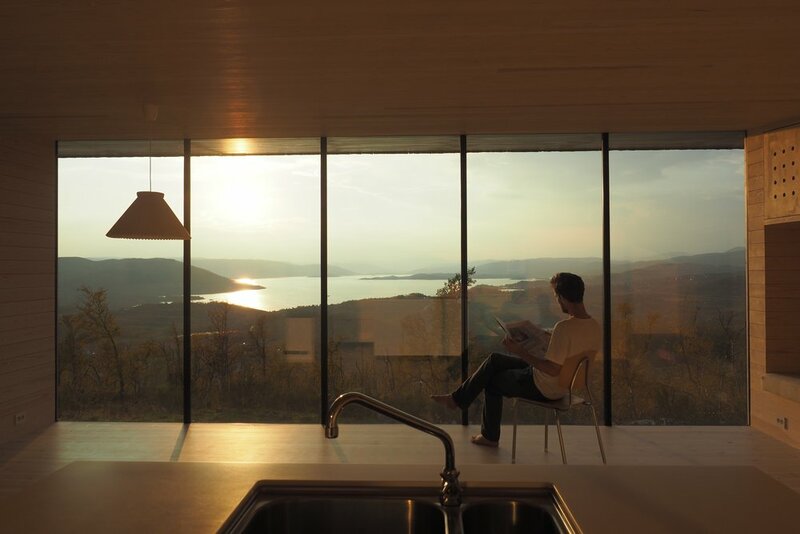 To achieve this, the entire view-facing wall is made of glass. The ceiling is angled, attempting to expand the room even more. 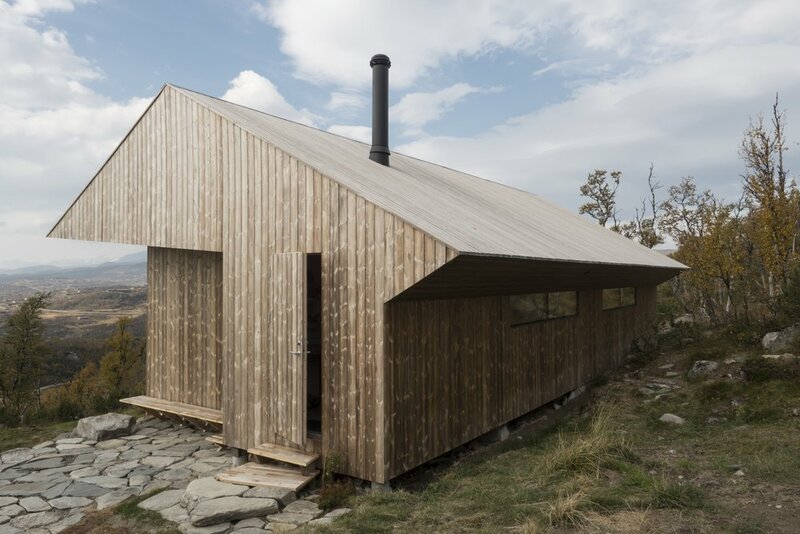 It also alludes to the ‘gapahuk’, a Norwegian improvised shelter used when hiking: two posts with a horizontal log on top, and a layer of branches leaning on it, making a makeshift roof and leaving one side of the structure open. This is a peaceful, secluded spot, and the architecture reflects this. Calm tones and natural light prevail - the feeling of being at one with nature. The interior design of the property draws on natural materials, with pine finishings and neutral tones. The stylish stove, built into the corner of the room, offers a unique feature as well as a practical way of heating the home in the long Scandinavian winters. In the long midsummer days, this is a wonderful escape - offering peace and tranquility. A lovely space to catch up with friends and admire the view with a glass of wine. 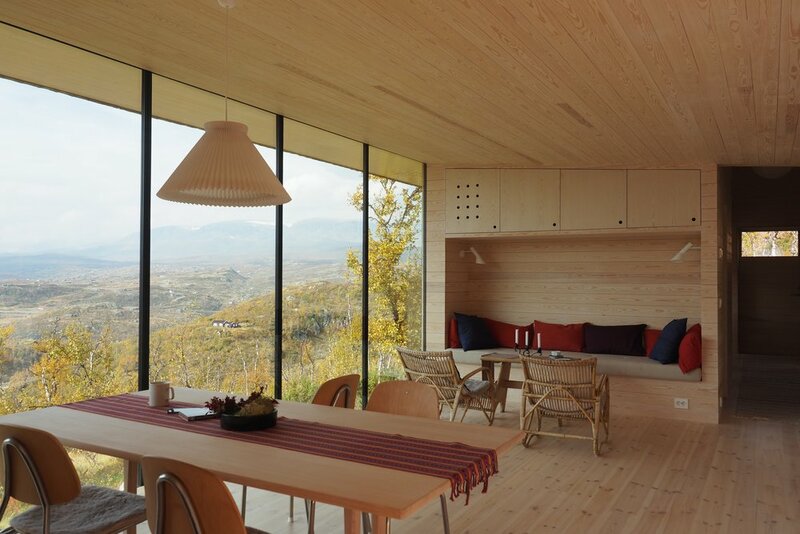 Large window provides the open-plan living, kitchen and dining area with a fantastic view. What a spectacular space!